The Polish campaign of 1939 is perhaps the most misunderstood and myth-filled aspect of all WW2 history. Many, if not most serious history books outside of Poland only give it a casual mention. Reducing it's importance to "the action that started the war", then moving on to the invasion of France. In reality, the campaign of 1939 is very misunderstood. It's actually quite complex, fascinating and very worthy of deeper study. There are myths that seem to endure beyond all logic - Polish cavalry foolhardily charging German tanks, or the Polish air force being destroyed on the ground the first day for instance. The fact that those events did not happen do not seem to diminish their popularity even among some serious scholars. Yet, there is truth, maybe less flamboyant but very worthy of note and very complimentary of the Polish forces that often escapes mention. The Polish army fought hard and bravely in the face of nearly insurmountable difficulty. Despite this, they actually did check the German advance several times but were never able to hold against the overwhelming firepower and numbers that Germany was throwing at them. Germany had thrown nearly everything they could spare at Poland, leaving only a fraction of troops on the French border as they counted on France not reacting. Had France attacked in September as promised to Poland through treaty, the situation would have been much different. Eventually the Polish forces crumbled, under the weight of nazi and Soviet invasion, but not before giving a good account of themselves. Even when the shooting was "officially" over, Polish underground forces sprung up almost immediately in such numbers that by war's end Poland fielded the largest resistance in the European theater. Polish soldiers also fled in droves to Romania, Hungary, and elsewhere to eventually make it to France and the UK to continue the fight. By war's end Polish forces were so massive collectively that they numbered the fourth largest Allied contingent. 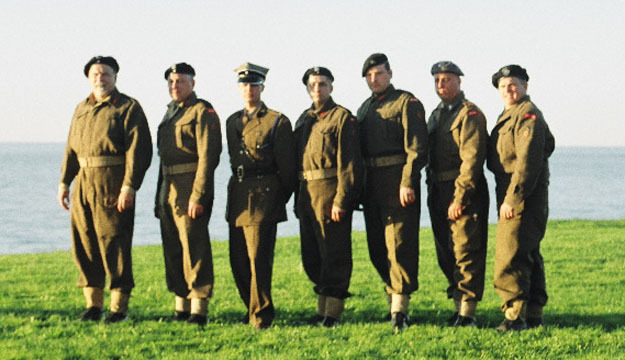 If you separate the British forces from their empire troops - Australians, Canadians, and so on, Poles came in third in sheer size, after the USSR and USA, such was their fighting spirit. This is why we chose to portray soldiers who seem to have had such a small role, but actually who's role was massive in scale. There is a lot to learn and a lot to teach and explore. You are welcome to join us. 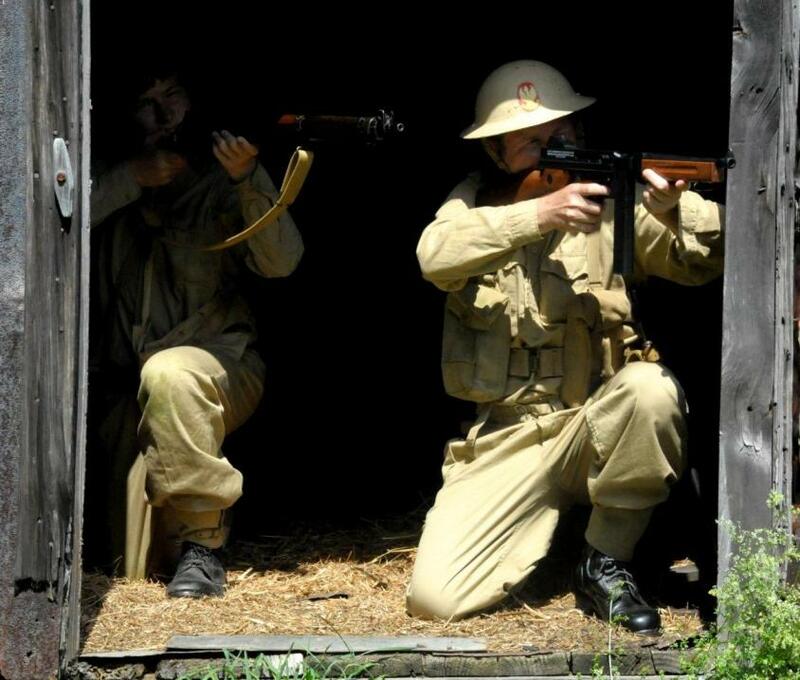 As members of the recreated 1st Independent Polish Parachute Brigade, we strive to keep the memory alive as well as teach the public about this remarkable piece of WW2 history. Why? The original Brigade was a unique formation in many ways. Firstly it was "independent" which means that it was fully intended to answer directly to, and only to the Polish Government in Exile based in London, unlike other Polish formations which were under overall Allied command. This in some ways made them the "muscle" of the exiled Polish leadership. While this was a bit out of the ordinary, it was not without a purpose. The formation's sole reason for being was to help in the liberation of Warsaw, Poland's capitol city and the intended future location of the returning legitimate Polish Government. While the Polish 1st Armored Division and 2nd Corps were busy fighting the nazis on the Mediterranean and Western fronts there was an unspoken knowledge of whom the Polish parachute Brigade was intended to counter. One look at the map and the path of Stalin's Communist Red Army is indicator enough of why this unit was intended to drop into and assist in the liberation and maintenance of freedom in Warsaw. A unit purposed to fight an enemy and even a questionable "ally" if necessary to maintain a nation's freedom is truly a sticky predicament for the Allies. As the Warsaw Uprising finally erupted, ruthless politics as well as military needs dictated that the Brigade be used elsewhere. They were passed onto Allied Command and parachuted into Arnhem, Netherlands during Operation Market Garden while thousands of men, women and children were being massacred in Warsaw. Under Stalin's orders, the Soviet "allies" stopped and waited just short of Warsaw and allowed the carnage to take place. 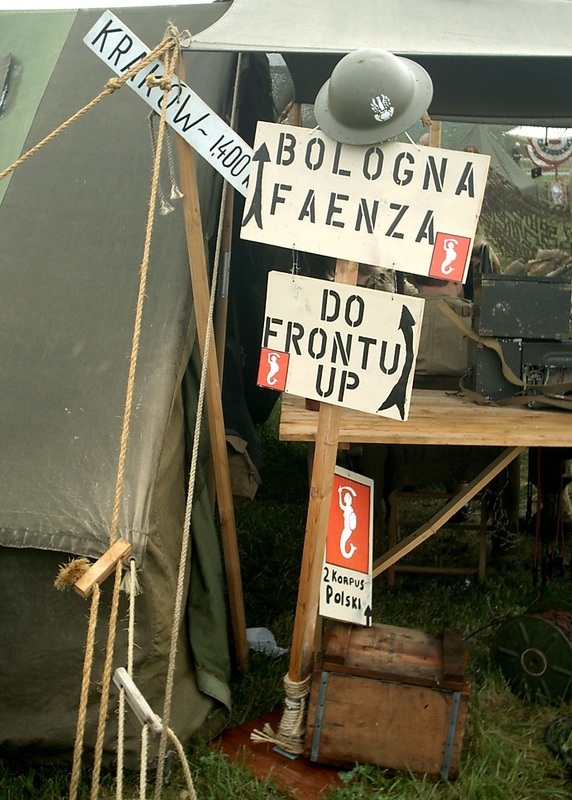 With a bittersweet glory, the 1st Independent Polish parachute Brigade entered the annals of military history. 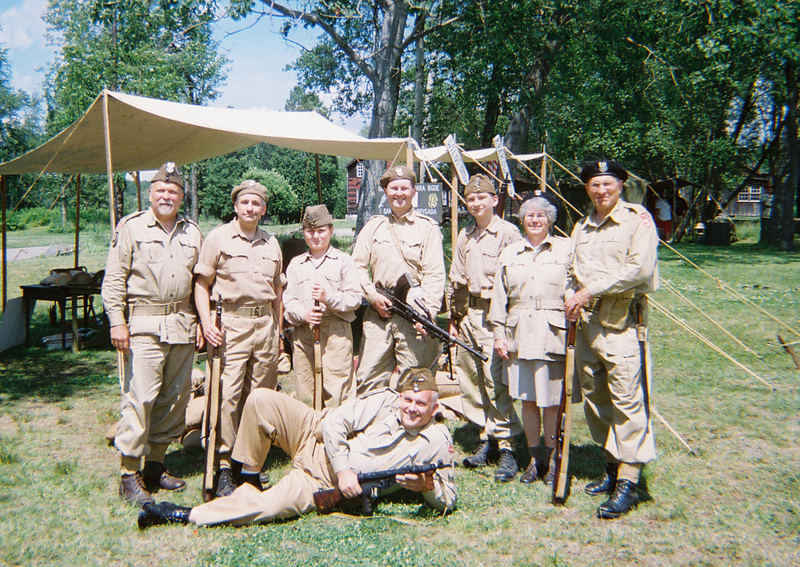 Disbanded after the war, most of the soldiers were never allowed to return to Poland. Some of the ones that did were executed, others imprisoned for being "enemies of the state". 10th Dragoons of the Polish 1st Armored Division. 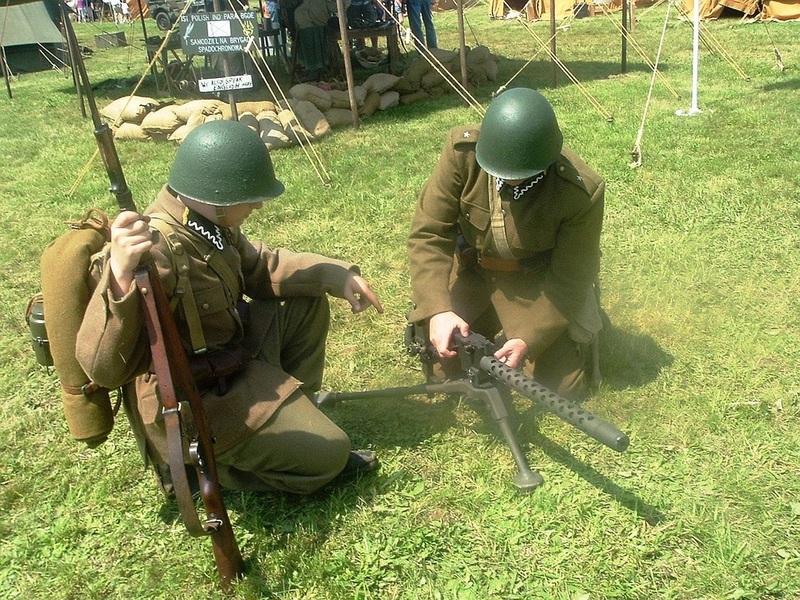 1939 The origins of 10th Dragoon Regiment can be traced to the reconnaissance squad of the Polish 10th Motorized Cavalry Brigade (at the time of the German invasion in 1939 the brigade was the only fully motorized unit in the Polish army). The reconnaissance squad (Dywizjon Rozpoznawczy) was raised on April 20 1938. 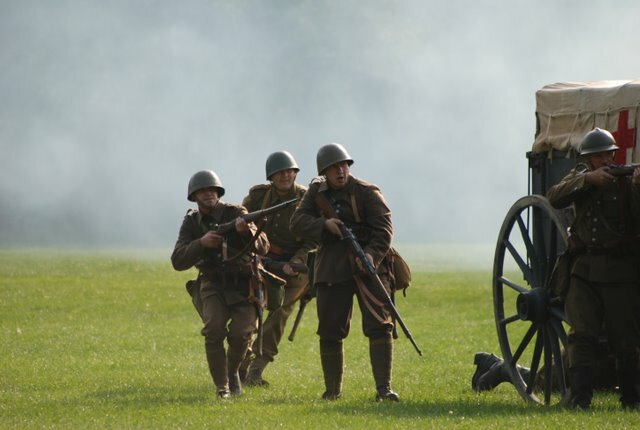 Shortly before the outbreak of the war entire brigade was moved to southern Poland and became reserve unit in Army “KRAKOW” which was preparing defenses of Silesia and southwestern part of border. The Brigade was eventually used in southern sector of the front and successfully slowed down German XXII Panzer Corps, thus saving the entire Army “KRAKOW” from encirclement and certain annihilation in early days of the war. During the campaign, this unit was participating in all major actions of the brigade. The reconnaissance squadron had seen action for the first time on September 2 near Naprawa village, south of Krakow, encountering forward elements of German XXII Panzer Corps. During the campaign reconnaissance squadron was also involved in battles and skirmishes at Skrzydlna (sept.5, squadron was taking part in a heave defensive battle and covered the retreat of the brigade behind Dunajec River, the date of that battle become later a regimental holiday) Ubrzez-Wieruszyce (Sept.6), Albigowa (Sept.9), Niemirow (Sept,12) and finally, Dobrosiny, near Lwow (Sept,15-16). 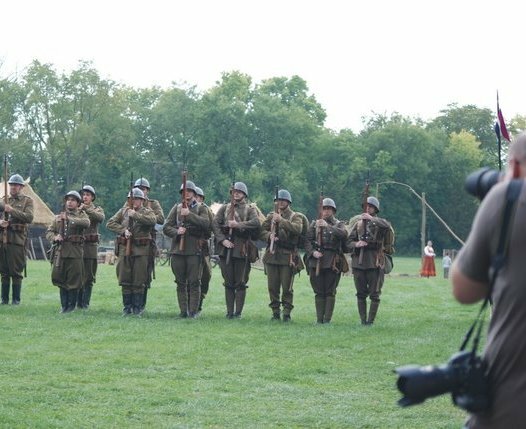 On September 17, 1939 Polish High Command ordered Brigade to move to area of Stanislawow, where troops learned about Soviet invasion. On September 18-19 brigade crossed Hungarian border where troops were intern. During 16 days of campaign Reconnaissance squad lost 2 officers and 31 men killed, 3 officers and 30 men wounded. Out of 16 officers in unit 2 were awarded Virtuti Militarii cross (Polish highest military award) and 4 were awarded Merit Cross (Krzyz Walecznych). Shortly after crossing Hungarian border, Hungarian authorities began disarming the 10th Brigade and relocating the personell into internee camps. However, as soon as gates of the camps closed behind last soldier, first were already escaping to France. Around 60% of the old Brigade escaped from Hungary to France. The new Brigade (along with reconnaissance squadron) was being organized at Coetquidan in Northern France. Unfortunately, when Germans invaded France in May the brigade wasn’t combat ready. As the situation worsened at the front, French requested Poles to send “Brigade” to the front. Improvised group was sent to the front. Reconnaissance squad gave two platoons of motorcycle dispatchers to that group. On 6th June, the “brigade” was attached to the French VIII Corps and was given order to cover the flanks of the corps. During the retreat “brigade” suffered heavy loses and finally due to French collapse was disbanded and individual soldiers and officers were trying to escape to England or unoccupied France. 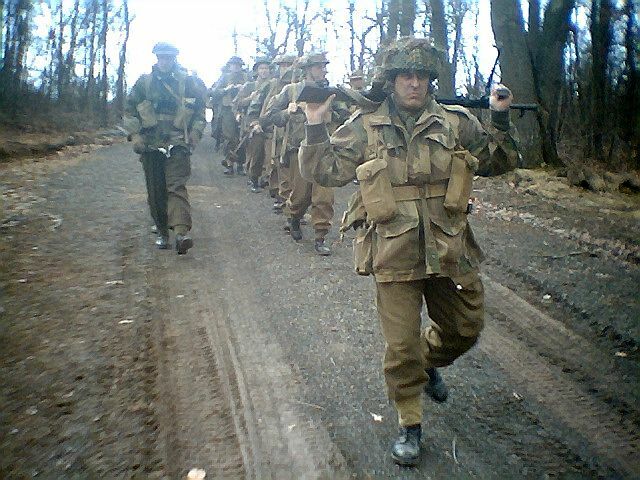 During that short period of time brigade distinguished its self during heavy fighting at Monthbard. During the French campaign 1 officer and 16 soldiers of the reconnaissance squadron were killed. 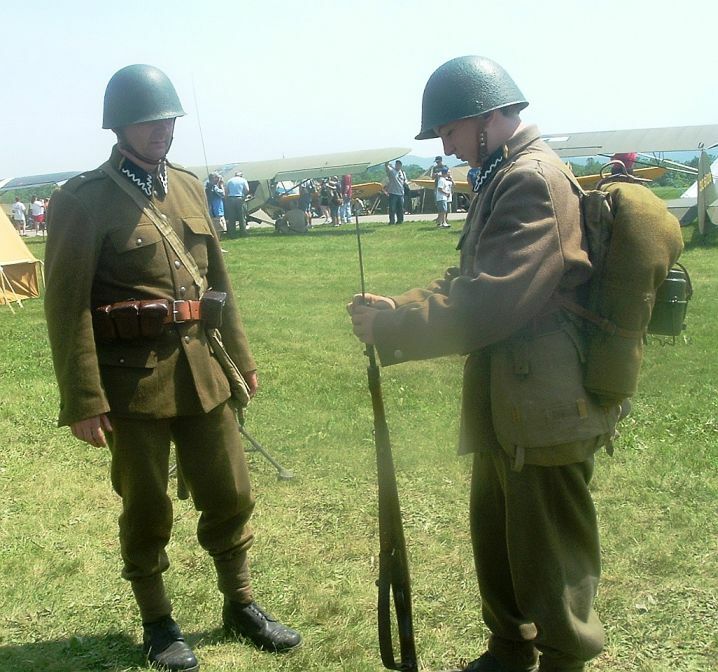 During the summer of 1942 10th Dragoon battalion is organized (continuing traditions of the old reconnaissance squadron) and attached to 1st Polish Armor Division. 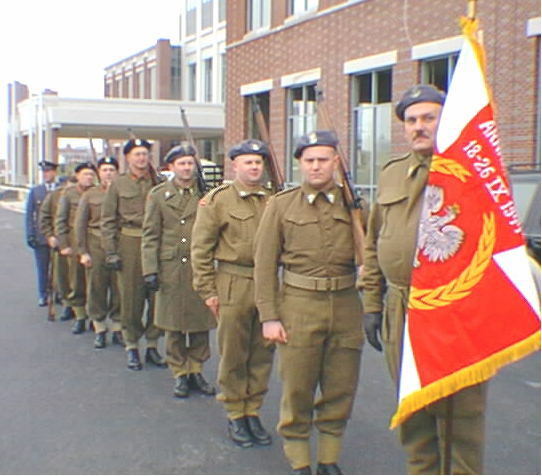 As the number of the Polish personnel increased in England 10th dragoon battalion was expanded to the regimental size. In 1943 10th Dragoon regiment was part of 10th Motorized Brigade along with 1st and 2nd armor regiment and 24th Ulan regiment. 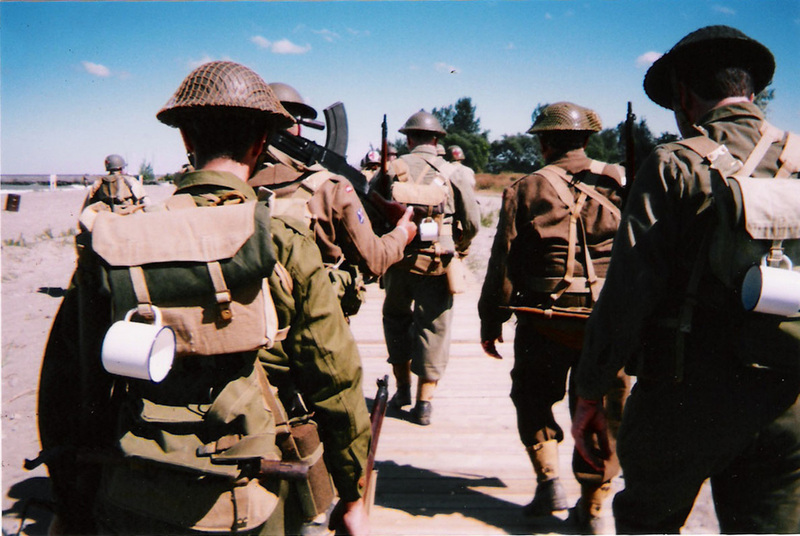 France: Two months after Normandy invasion Polish 1st Armor Division landed in France. The Division was attached to the Canadian II Corps. The 10th Dragoon regiment had a chance to be engaged in combat for first time since disastrous campaign of 1940. On August 10th near La Croix-Le-Val, on August 15th at Jort and on 18th near Trun. From August 19th to 22nd 10th Dragoons fought at Falaise-Chambrois area. The regiment along with 10th motorize cavalry brigade was posted to Chambrois where they were supposed to stop Germans retreating west. At Chambrois Poles linked up with an American II battalion, 395 infantry regiment form American XV Corps. After two days of heroic fighting, the battle was won. For almost a week regiment was resting. On Sept.29 10th Dragoons was on the road again as a vanguard of the Polish Armor. On Sept 1 10th dragoons reached small city of Abberville (on Sept, 12 1939 British and French delegation met at that city and decided that their troops will not come with help for Poland) and after heavy fights captured that city. After capturing Abberville, 10th Dragoons continued a pursuit. 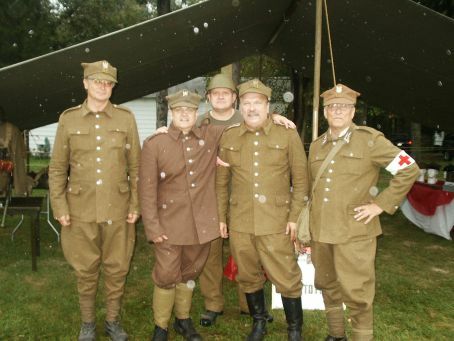 On Sept, 7 Poles reached Belgian city of Ypres . This time 10th Dragoons did not take part in recapturing the city, instead they were send around the city toward Aeltre and crossings on the Gent canal. With the crossing of Belgian border and capturing of the Ypres, the French campaign was over. During short period of time, from Aug 31 till Sept, 9 10th dragoons cover a distance of 470 kilometers! Belgium At Aeltre, Dragoons for a first time had to break through heavy German defenses on Gent canal. Unfortunately, German positions were too strong and the dragoons suffered heavy loses (maj. Zgorzelski, regiment commander, was wounded) eventually dragoons were pulled back and sent toward Gent. From Gent Dragoons were sent to St. Nicolas south of Antwerp. On Sept.16 10th Dragoons crossed Dutch border by the end of the day elements of the regiment managed to capture a bridgehead on Axel-Hulst canal. During the crossing of the Axel-Hulst the regiment suffers it’s biggest defeat. Soon after crossing the canal new commander (cap. Kownas) allowed his squadrons to move too deep into enemy controlled territory. 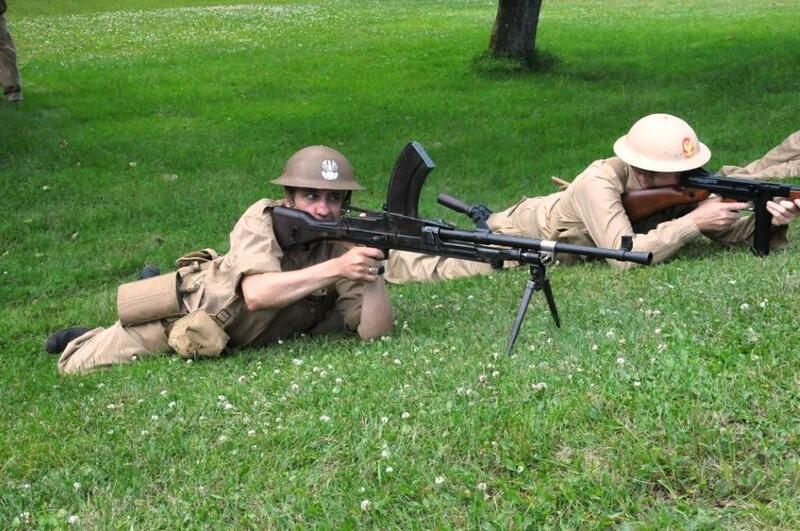 Because most of the heave equipment didn’t cross the canal yet, the dragoons had only light support weapons with them. So not surprisingly when Germans counterattacked the regiment was almost routed many dragoons had to save their lives by swimming across the canal in order to avoid capture. During that unfortunate incident the regiment lost 2 officers and 72 men. As a result of that incident cap. Kownas was relieve of the command and transferred to 2nd Armor Regiment where he was killed two days later by German sniper (post humanly he was awarded Merit Cross) Next few days dragoons spent in second line recovering from defeat. Just 4 days after the defeat the regiment was combat ready again and on Spat, 20 they captured city Huls just a little bit west of Axle. Beginning form Sept 29 Dragoons with an entire division started operations which was supposed to clear off German troops from the area of Antwerp. During that time 10th dragoons were fighting at Baarle Hertog, Ruyssede-Aelter canal and Terover, taking a large number of prisoners and equipment. The dragoons crossed Dutch border on Oct 4. On Oct 6 an entire Division was ordered to stop its advance and take defensive positions. Holland Between October, 6 and 26 the regiment was resting after heavy fights in Belgium. On the October 27 the regiment is on the move again. Division’s main objective is an old city of Breda. The 10th Dragoons were clearing off Germans northeastern part of the city. By October 30 the city is free. With beginning of the November the regiment was engaged in heavy fights on the Mark and Wilhelmina Canal. On the October, 9 the entire division was pulled out of the front and sent to Breda and it’s vicinity for break. After refitting entire division was assigned a sector of Mass River were they spent most of the winter. During the campaign in the west (1944-45) 10th dragoon regiment lost 14 officers and 194 enlisted men killed and 37 officers and 502 enlisted men wounded. The regiment lost also over 70 vehicles. The dragoons also inflicted heavy loses on the enemy. They captured 2752 POWs, destroyed 2 tanks and17 vehicles (that account might look not too impressive but for a most part Anti-Tank regiment was attached to the Dragoon regiment and AT unit was credited with most of the tank “kills”) The officers and men of the regiment received several awards both Polish and foreign. The commander of the regiment Maj. Wladyslaw Zgorzelski was awarded Virtuti Militari IV Class (only 5 other officers of the division were awarded that Class of VM!) 37 officers and men was awarded Virtuti Militari V Class, Merit Cross was awarded to 298 men, Merit Cross with swords to 77 men, Military Medal awarded to 873 men. 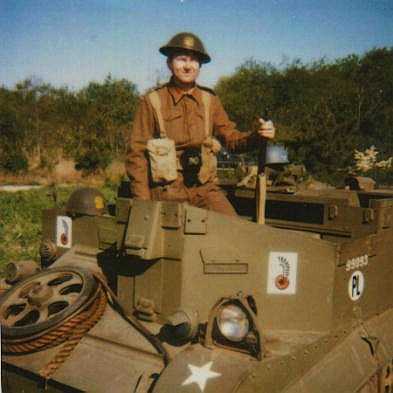 British awarded D.S.O. (Maj. Zgorzelski), M.C. and D.M.C to 3 officers, Belgians awarded 5 medals, French 3 and Dutch 2. Also 1709 soldiers were awarded British Campaign Star. The regiment was disbanded on June 10 1947 In England. 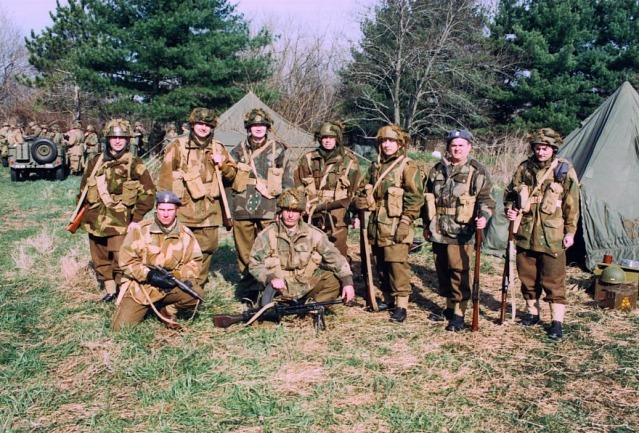 After the war soldiers of the regiment spread all around the world. Some returned to Poland some decided to stay in the West. The regimental club was organized in London and in early 70s they had their chapters in USA, Canada, Brazil, Argentine, Uruguay, France, Belgium, Holland, Germany and South Africa.